At the very tip of Cape York where the South Pacific Ocean and the Arafura Sea mix their currents are the 274 islands of the Torres Strait, including Thursday and Horn Islands. This unique tropical region is home to the indigenous Torres Strait Islanders whose culture is rich in the arts and whose lifestyle has evolved from the sea and its abundance of wildlife. This unique tropical location is a melting pot of Melanesian and Indigenous Australian cultures boasting about 20 different communities and offering visitors a rich cultural experience. Step back in time to discover a diverse history spanning World War Two and the pearling industry, vibrant headdresses and colourful dance, ancient carving and modern printmaking, plus a welcoming people who live in paradise. Thursday Island is the administrative centre of the Torres Strait with modern accommodation, tours and the award-winning Gab Titui Cultural Centre which takes visitors on a journey from the past to the present and into the future showing Torres Strait Islander culture through artefacts, artwork, song, dance and stories. Virtually untouched, the Torres Strait islands and surrounding Great Barrier Reef are home to some of the world’s most stunning blue waters as well as an abundance of marine life including dugongs, dolphins, giant marlin and sea turtles. 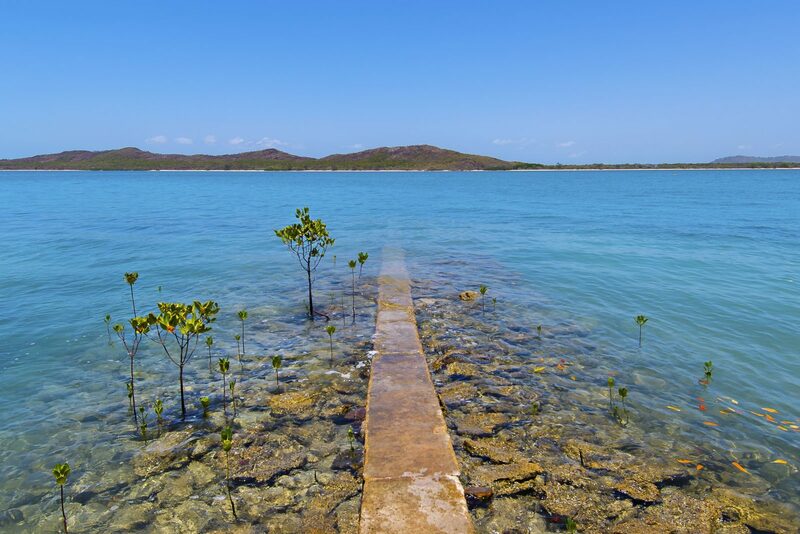 With beautiful beaches, awesome fishing and rich indigenous culture, visit the far corner of nature’s theme park in the Torres Strait to experience one of Australia’s most beautiful, natural hidden gems. Time slows down in the Torres Strait so you, too, can enjoy the peaceful existence of island life. Thursday Island can be accessed via boat from Bamaga on the mainland and nearby Horn Island where the Torres Strait’s airport is located. There are landing strips on some of the smaller islands which can be reached by boat or light aircraft. The Torres Strait Island area is a local government area (LGA) in Queensland. This area is home to 17 locations and/or suburbs which you can explore in more detail by selecting from the list below. The Torres Strait Island area is located approximately 2191kms from the capital Brisbane.